Nikolas Motorsport moved to its present location in 2004. 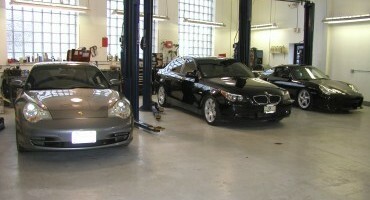 This facility includes over 11,000 square feet dedicated to servicing your BMW, Porsche, or MINI. We have a comfortable customer waiting area equipped with WIFI for your convenience. We will happily provide a shop tour to any customer who is interested. As you tour our facility we hope the first thing you will notice is the fact that it is kept very clean. Secondly, the lighting is exceptional. Both of these features are to insure work on your car is completed to the highest standards. As you look around you will see a significant investment in being the best we can be. There are seven regular hoists, plus the drive-on hoist which is dedicated to our state of the art alignment machine. We use the latest Autologic diagnostic machine for diagnosis, coding, programming, and evaluation of real-time data from your car. Our tire mounting machine and tire balancing machine are both capable of handling the most difficult wheel and tire combinations. Near the alignment hoist you will notice our machine shop area. Processes such as machining cylinder heads are completed in house to insure quick turnaround and high quality. Additionally, if a special tool or fixture is needed we will often just make it. All of the standard required equipment is stored appropriately nearby, including A/C machine, battery chargers and testers, custom tools, part washers, storage for used oils and fluids, etc. If there are any questions, please do not hesitate to ask what you are looking at. A trailer hitch for your BMW or Porsche? How do I select a shop? The art & science of a 4 wheel alignment. Nikolas Motorsport is the exclusive Independent Dinan Performance Parts Dealer in Southeastern Michigan. 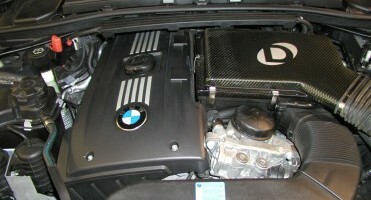 Call us for you High Performance Dinan BMW needs. Dinan is an automotive engineering company that is dedicated to a single overriding objective: to develop the fastest, best handling, street legal BMWs available anywhere. To accommodate your car’s service at Nikolas Motorsport we offer (with advance scheduling) a variety of options for alternative transportation. First, for quicker services like an oil service, or a tire mount and balance, many of our customers will schedule a time that allows them to wait. Our waiting area is equipped with comfortable chairs and WIFI. Additionally, there are a number of places within walking distance to enjoy lunch or a coffee. The West Bloomfield trail system is also very close, for those customers that wish to take a walk, run or bicycle ride. For cars which require a longer single day stay we can provide a no charge loaner car, or a ride to nearby location. Finally, our customers receive a significant discount from our local Hertz rental location. This works well for those situations where there is an immediate need for alternative transportation, or when the car will be in the shop for more than a day or two. Nikolas Motorsport Independent BMW – Porsche – MINI Service is a long time member of BIMRS. 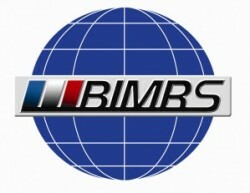 BIMRS is a non-profit association of Independent BMW Service Professionals dedicated to education and training. Our association currently has over 200 member shops around the world. Our membership in BIMRS provides you, the customer, with the assurance that your BMW or MINI is receiving service by professionals with the highest degree of technical expertise. We encourage you to visit the BIMRS.org website for additional information. Additionally, please keep the BIMRS group in mind if you travel with your BMW or MINI. Should you ever be in need of service at an out of town location check the website for a member shop, or contact us and we will look it up for you. We are continuously striving to be environmentally conscious. From upgrading our lights to low energy usage to joining a oil recycling program. With over 30 years in the business, you can be assured your repair will be done right the first time. Most of our standard repairs receive a two year, unlimited mileage warranty. This matches the warranty you would receive at a manufacturer’s dealership. Using the most recent technology to interface with your BMW, Porsche, or MINI we can communicate with even the newest of vehicles.